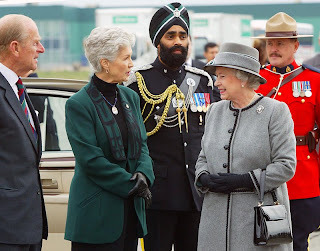 Signaler Simranjit Singh and Lance Cpl. 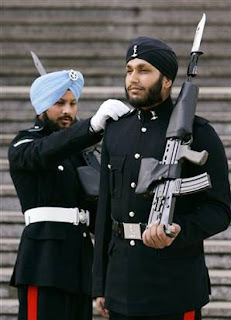 Sarvjit Singh are the first Sikhs to take part in patrols outside the queen's residence and to stand watch over the Crown jewels at the Tower of London across town. Guard duties are usually carried out by the Guards of Household Division, famed for their bearskin hats and crimson coats that attract picture-taking tourists in their thousands. The ministry said the Sikh soldiers instead wore turbans and blue uniforms. Sikhs have always been known for their courage and bravery ..and keeping the flag high.